Search tool use file saved on drive as repository of information. It is called Index file and its purpose is to enable quick access to data saved in Revit Families. 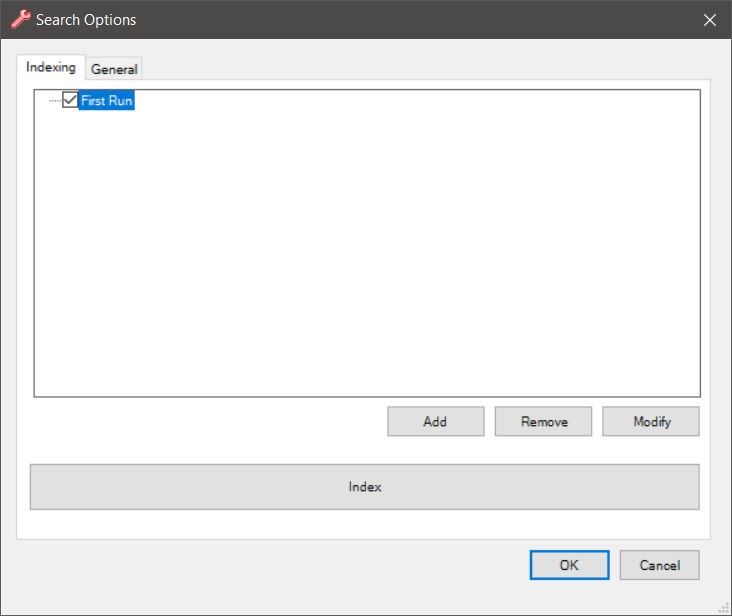 Specify paths – specify paths to the index files if you already have or share these files with another users. 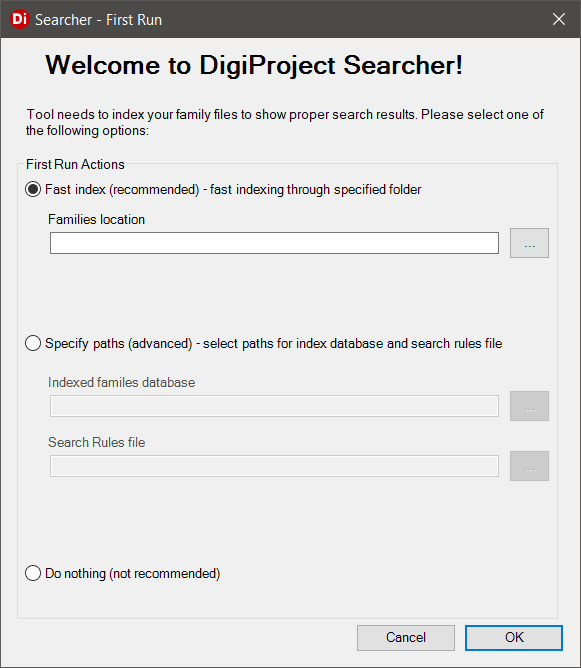 To get access to Searcher settings go to DigiProject Options and click Settings on the list of installed software. Options are grupped under two tabs Indexing and General. You can create and use as many search rules as you need. 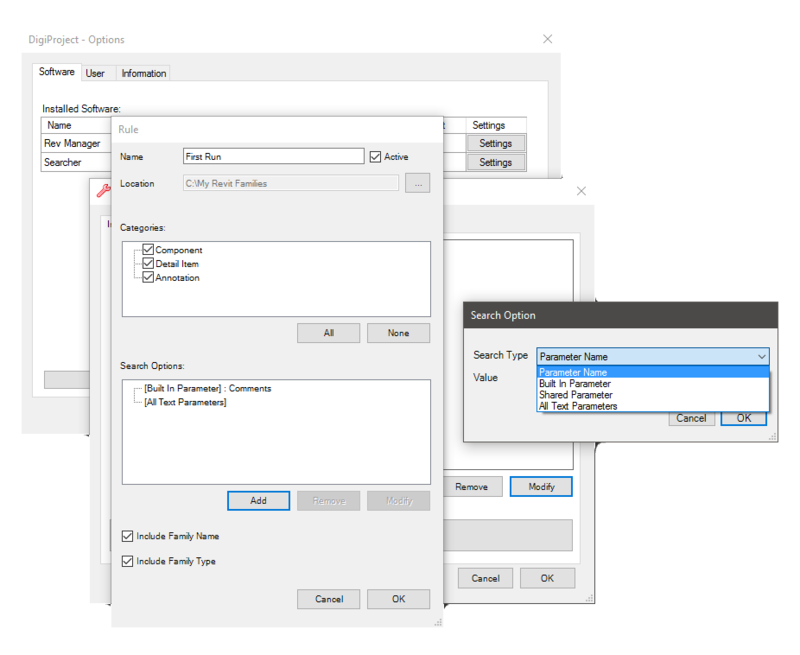 Keep in mind, that indexing for search rules without any search options will be much faster (only Family Name and/or Family Type selected from additional indexing options). 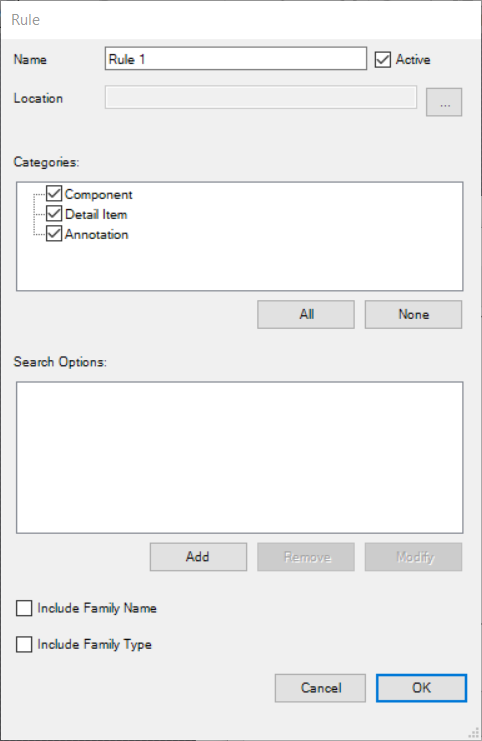 This is due to fact that Name and Types for family can be extracted without opening Revit family file. You can include as many search options in rule as you need. 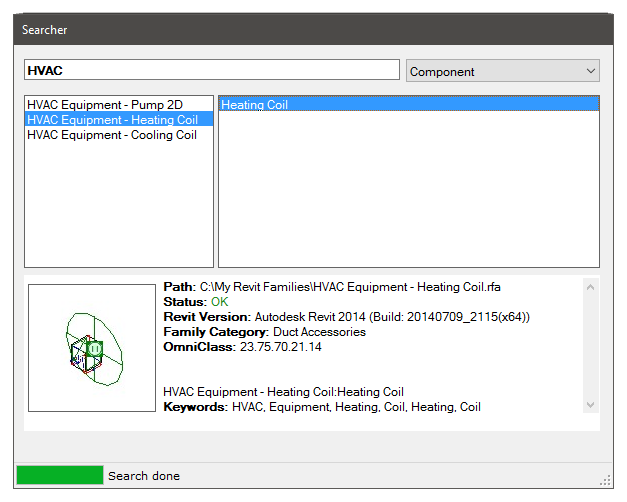 Index on Idle – this option allows you to automatically index directories specified in search rules when Revit is on idle state.